With a card check, paid union organizers pressure workers to sign cards indicating that they support the union. The card is effectively a binding contract that, among other things, will require employee to pay union dues in order to keep their jobs. Some union organizers employ tactics including deception, coercion, and harassing visits to workers’ homes in order to get them to sign a card. Current law dictates that an employer can either choose to recognize a union based on the card check or call for a secret ballot election to make certain that the employees’ true feelings are recognized. 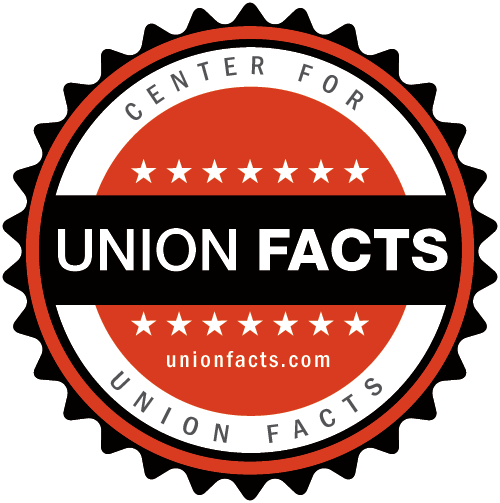 Recent data from the National Labor Relations Board indicates that in 2009, 38 percent of all union organizing efforts were conducted through a card check. Why would a business deny its employees the opportunity to conduct an anonymous, government-supervised vote? In those relatively rare instances in which an employer has agreed to card check, the employer itself has often been under union pressure—which includes threats of a negative public relations campaign intended to injure a company’s reputation until the company capitulates. Union officials rely on statistics generated by friendly and well-funded researchers, often at academic institutions, to claim that there is widespread oppression of workers’ rights. The only hard analysis of National Labor Relations Board data found that only 2 percent of elections involve employees being wrongfully terminated. A secret ballot prevents most ills, since no one knows how an employee will vote or voted, irrespective of signing a card. Conversely, a serious flaw in the public card check process is that it is inherently rife with the potential for intimidation by union officials. The public, the courts, leading editorial pages, and politicians all prefer secret ballot elections. When they’re acting as employers, union officials prefer secret ballots, too. Given this level of public and media support for elections, some may be surprised by union officials’ campaign to take away secret ballots from working Americans. They may be more surprised to find that union officials seem to prefer elections when it comes to their own staff deciding whether to join a union.